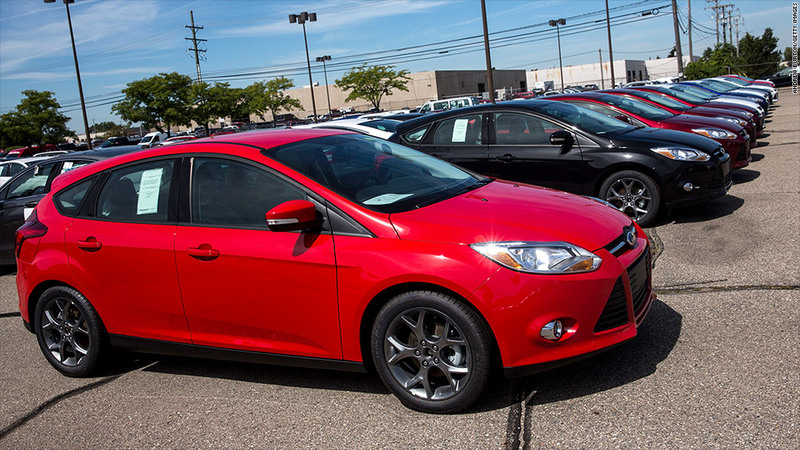 Cars sales jumped in May to their highest level since 2005. Forecasters now expect the industry to sell 17 million cars and trucks in the U.S. in 2015, which would be the highest annual tally since 2001. A record 17.4 million cars were sold in 2000. Annual auto sales plunged below the 10 million mark during the depths of the 2009 recession, and have rebounded much more quickly than experts anticipated. "Vehicles on the road are still pretty old so there's lots of pent-up demand," said AutoTrader.com analyst Michelle Krebs. The economy is also helping to boost sales. "Workers feel more secure about their jobs," she added. "Consumers feel wealthy, thanks to rising home prices, lower gas prices and a strong stock market." May sales had been expected to come in at a much more modest level. But strong reports from the nation's four largest automakers, GM (GM), Ford Motor (F), Toyota Motors (TM) and Fiat Chrysler Automobiles (FCAM), lifted the total well above expectations.